Socialism and government bureaucracy create waste, abuse and failure. 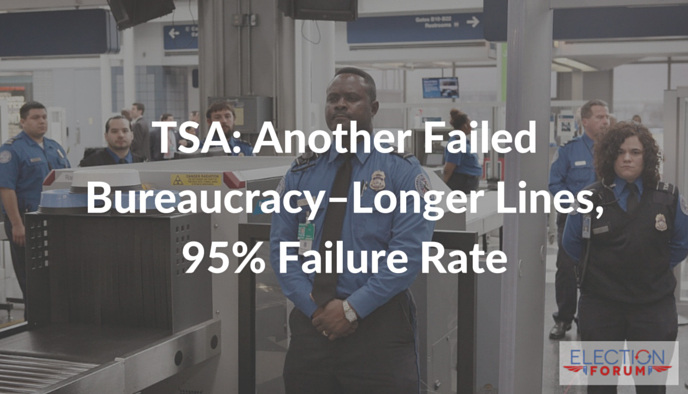 And the Transportation Security Administration (TSA) is a prime example. It has 95% failure rate in mock trials, as bombs and guns still get through. I’ve been insulted and abused by agents. So have my wife and kids!